The next EUREC College of Members will be hosted by TUBITAK MAM at their headquarters in Gebze (Turkey). A EUREC delegation will spend two days to discuss with researchers from Turkish organisations common research priorities to advance and strengthen the uptake of renewable energy in Turkey. The workshop on 6th December 2017 will feature several presentations from representatives of the Ministry of Energy and Natural Resources, the Investment Support and Promotion Agency of Turkey, the TUBITAK department for International cooperation, as well as from Turkish companies on the ongoing initiatives to support the development of renewable energy. A technical workshop will also be organised focusing on "Energy Storage Solutions for Renewable Energies”, which will be an excellent opportunity for researchers from EU and Turkey to discuss common initiatives. Biofuels have been promoted as a safe source of energy carriers. Today, however, there is a considerable concern about the competing use of agricultural land for the growth of crops for food vs. bioenergy uses. In 2012, the European Commission proposed a revision of its 10 % target for the amount of transport energy that has to come from renewable sources by 2020. It said that only half of this, or 5 % of total transport energy, should come from food crops. MacroFuels targets the development of aquatic biomass, i.e. seaweed or macro algae, for advanced biofuel production which, by diverting cultivation for fuels production from land to sea, will contribute to the 5% EU target. Seaweeds do not need any fresh water, arable land or added fertilizers to grow. Their use for the production of biofuels, however, requires an increase of seaweed production by orders of magnitude as compared to the current production. By cultivating and harvesting seaweeds all year round for the first time in Europe, and by combining this with novel technologies and techniques in automated harvesting, storage, pre-treatment and conversion routes, MacroFuels will pave the way towards large scale production of seaweed in the EU waters. Developing a thermochemical conversion route of sugars to fuels from the mg. scale to the kg. scale. 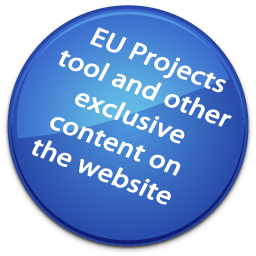 Brussels, 15th November 2017 – The Association of European Renewable Energy Research Centres (EUREC) has launched the second edition of its publication "Renewable Energy Projects Catalogue - A guide to successful and innovative projects in the area of renewable energy”. 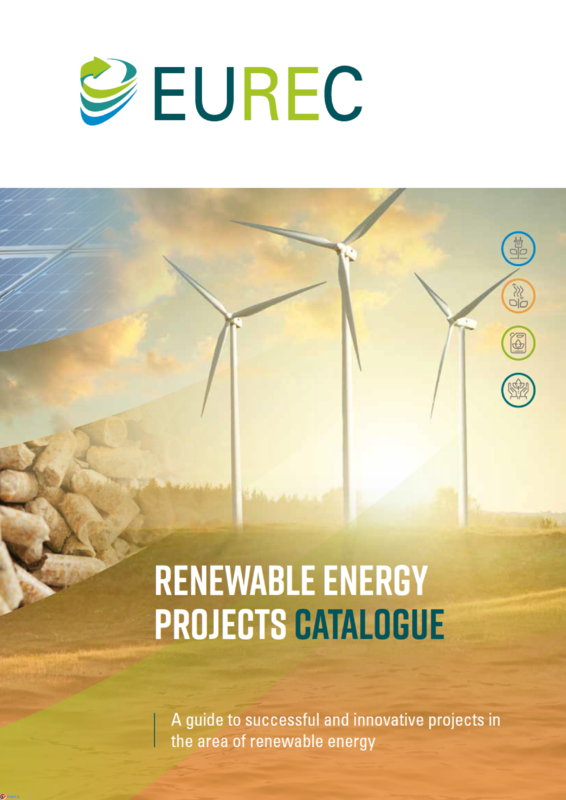 The document showcases 31 noteworthy projects conducted by EUREC member organisations in the fields of renewable electricity, renewable heating and cooling, sustainable transport and horizontal topics, most of them co-financed by the European Union. 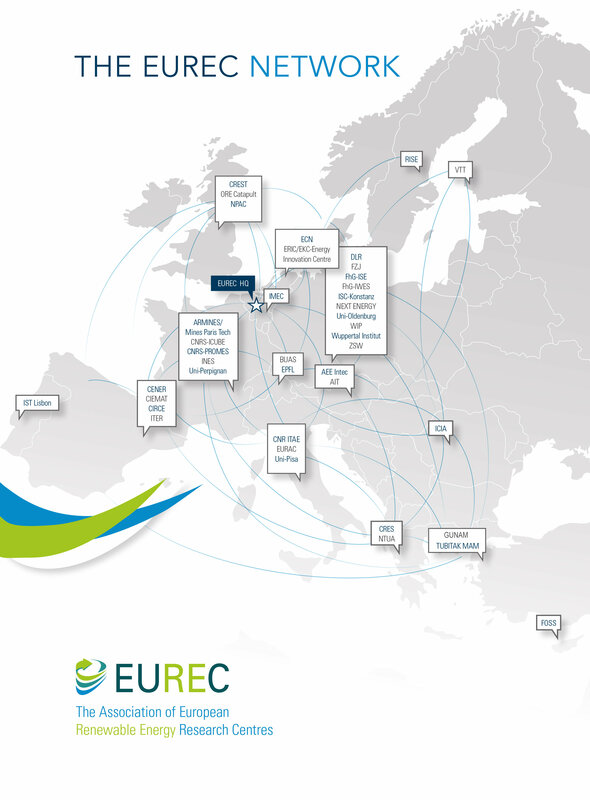 EUREC’s members are research organisations and universities from EU Member States and countries associated to Horizon 2020. They have the common feature of being active in the field of renewable energy technologies or supporting areas such as energy efficiency, storage and grids. Roughly half of all EU-funded renewable energy projects has at least one EUREC member in its consortium. The European Parliament’s report on Accelerating Clean Energy Innovation is expected to be voted in committee on 11 January 2018, and adopted by the Parliament as a whole in March 2018. Reference is made above to paragraph 11 of Prof. Buzek’s ‘Committee draft report’, available here. ETIP-PV, the European Technology and Innovation Platform on Photovoltaics, held a conference, PV manufacturing in Europe on 19 May 2017, preceded on 18 May by an invitation-only meeting for associations and public officials. 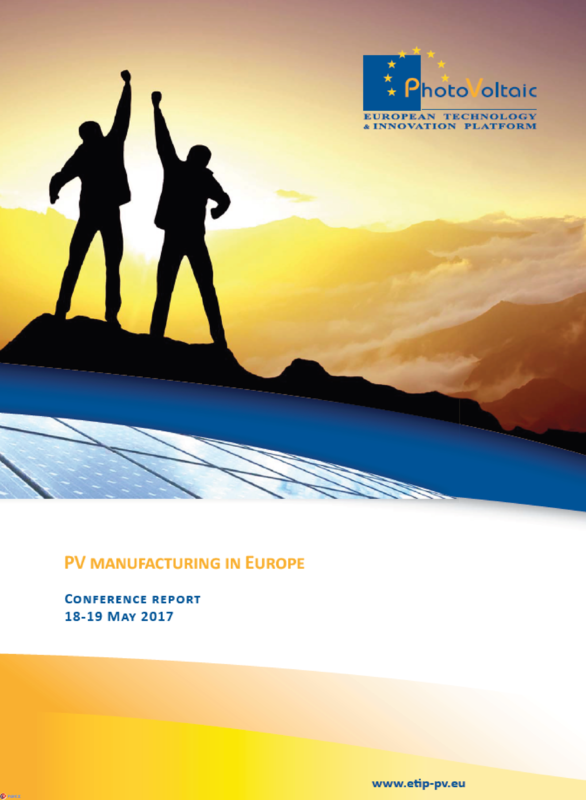 Conference 2014: New dawn for large-scale PV manufacturing in Europe: reality or pipe dream? 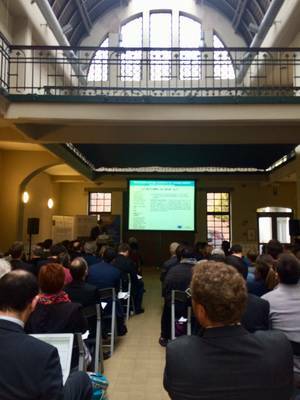 On Thursday 16th November 2017, the European Technology and Innovation Platforms on Renewable Heating & Cooling (RHC-ETIP), Deep Geothermal (DG ETIP) and the DHC+ Technology Platform organised a brokerage event dedicated to the Horizon 2020 Energy Work Programme 2018-2020 at Les Ateliers des Tanneurs, in Brussels. 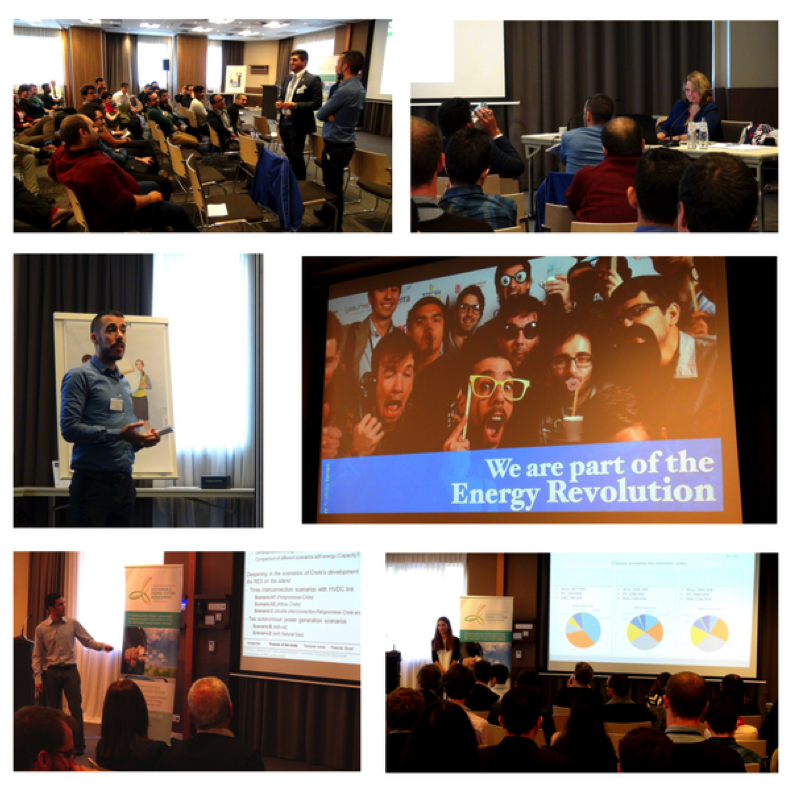 The event gathered more than 100 participants working on the renewable Heating and Cooling sector and representatives from the European Commission. In the morning session, the invited speakers from the European Commission shared their expertise on European funding instruments and opportunities. A dynamic round of questions followed each presentation. After the lunch break, the participants split into 5 rooms for the networking sessions. They addressed the most popular calls selected by the participants, who had the opportunity to create future partnerships and learn from their peers experiences. The SolarPACES (Solar Power and Chemical Energy Systems) Conference was held from September 26-29, 2017 in Santiago, Chile. The Competitive Solar Power Towers project was presented at event by the partners CENER and EDF. EDF presented the poster "Optimization of a Decoupled Combined Cycle Gas Turbine Integrated in a Modular Multi-Tower Solar Power Plant”. 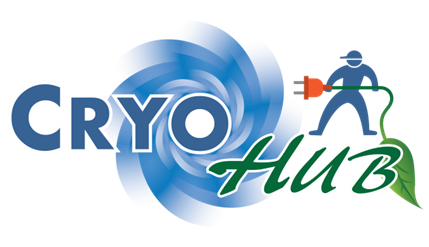 The project CryoHub (www.cryohub.eu) will present its mid-term results during the 14th South and East European Conference and Exhibition on Energy efficiency and Renewable Energy, which is going to take place from 27th to 29th March 2018. The CryoHub session will feature presentations from several project partners. Paola Mazzucchelli, EUREC Secretary General, will present the prospects for CryoHub in Europe- refrigerated warehouse and renewable energy mappings. EUREC Masters Starting day 2017 took place on Friday 6 October at Novotel Tour Noire, at the heart of Brussels. 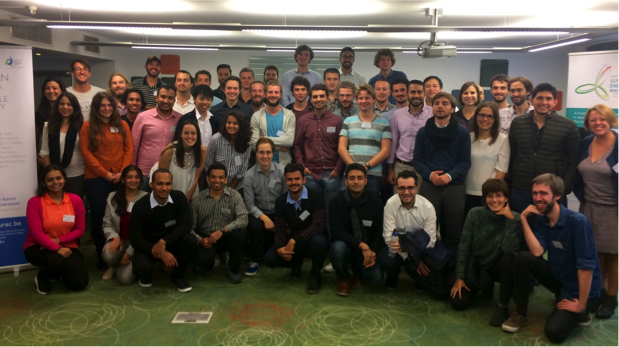 EUREC welcomed 90 participants. After an interesting ‘get to know each other’ ice-breaker activity, students from 30 different nationalities listened to the Master’s experience of Habib Rahme, former student of EMRE, Academic Year 2015-2016. EUREC Awards Ceremony took place in the afternoon followed by a brief presentation of the winners’ projects. This was an excellent introductory step for the presentation of the specialisations, given by professors from the Masters’ specialisation Universities. Students also had the chance to solve their doubts thanks to an animated Specialisations Coffee Corner with the professors. After the 'Specialisations Coffee Corner', EUREC delivered a presentation to help students in their search of the third semester project and organised a workshop about jobs perspectives at the end of the Masters. All the participants enjoyed of a cocktail to finish a very informative day and to start the celebration of the EMRE 15th Anniversary. As from 9pm, students, professors and EUREC joined forces to celebrate EMRE’s Anniversary with a drink at Le Cercle des Voyageurs. Every edition of the EUREC Alumni Forum is an excellent opportunity to network and share knowledge on the renewable energy sector. EUREC thanks and congratulates the new organising team for the engagement and successful event! The Presentation Days 2017 of the European Master in Renewable Energy and of the European Master in Sustainable Energy System Management will be held in Brussels on 18, 19 and 20 December at the Hotel Bloom. 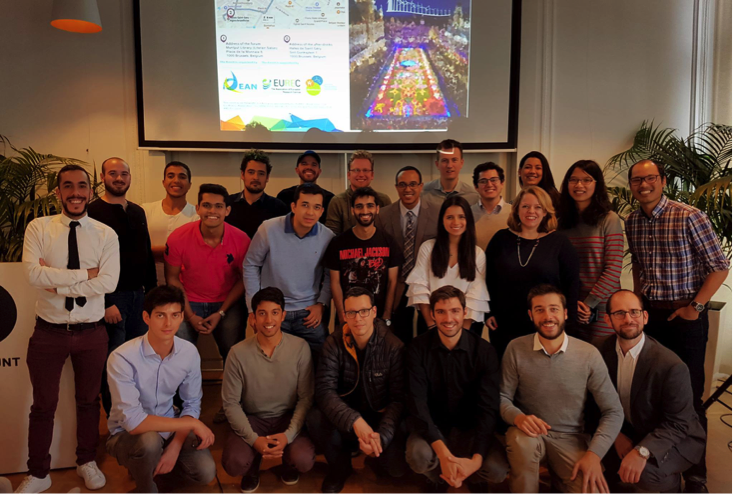 The 92 EUREC Master Students will all come to Brussels to present the results of their six-month project. If you wish to attend the Presentation Days or join us for the cocktail reception on Wednesday 20th, please send an email to Nathalie Richet.